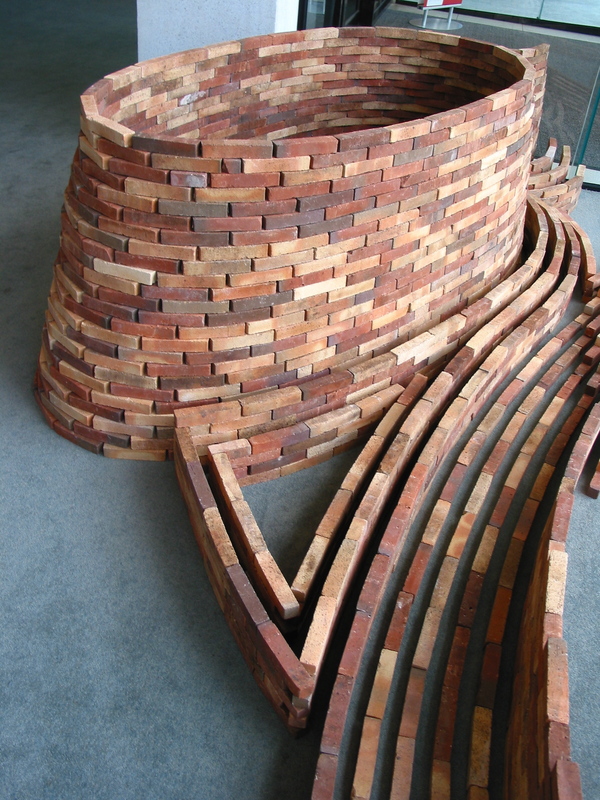 for years now i have had several thousand small, hand cut Japanese bricks. 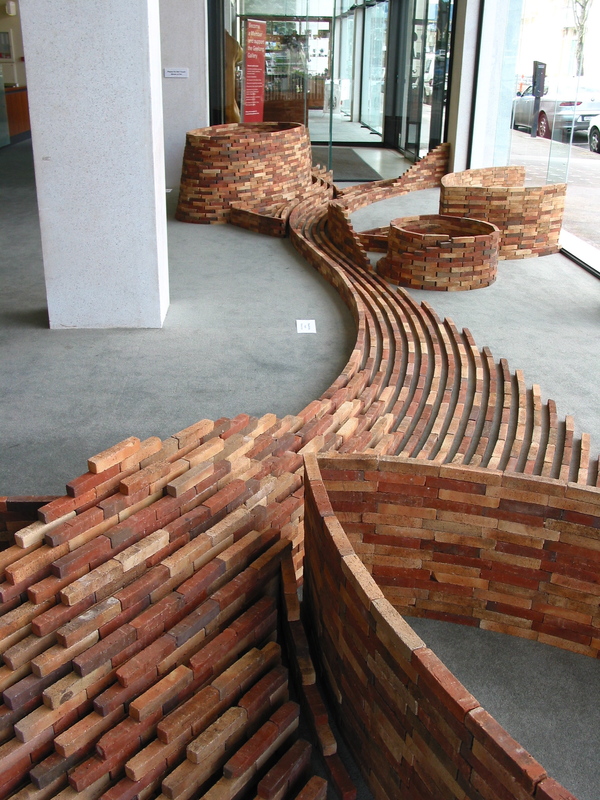 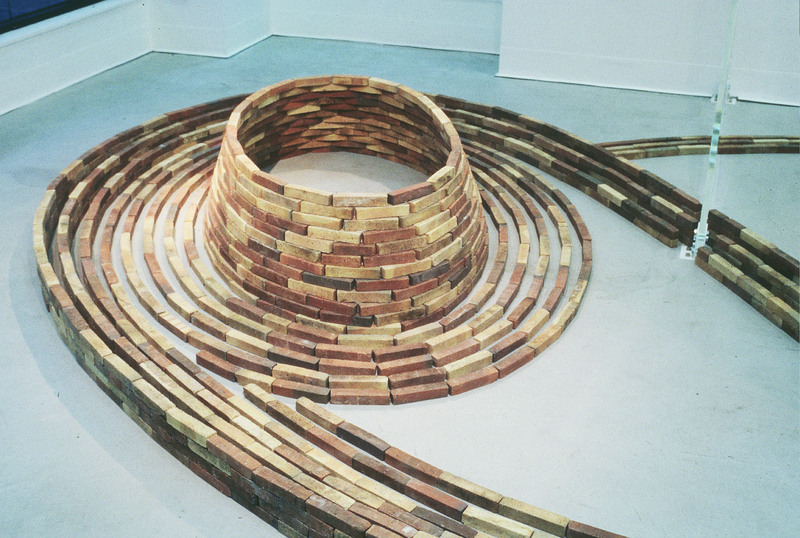 i have made a number of installations carefully placing the bricks into series of curves, contours and structures. 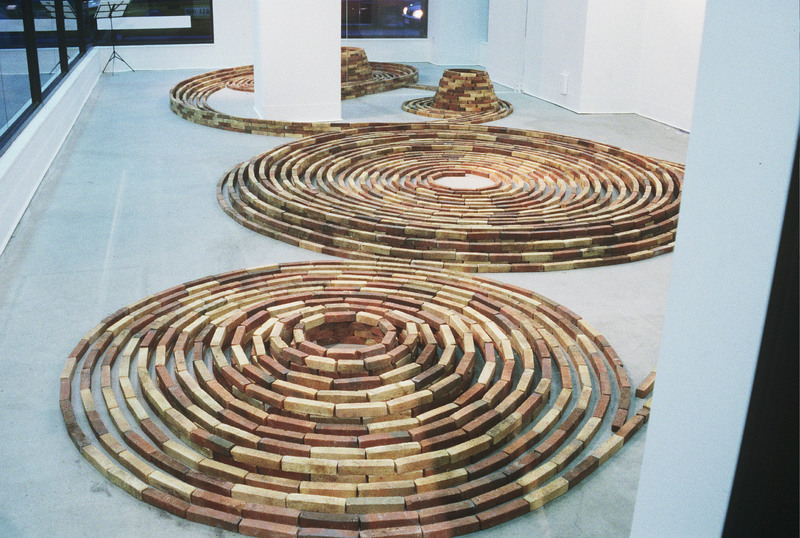 installation, ‘Complicity, a theorem and its corollary’, Victoria University Gallery. 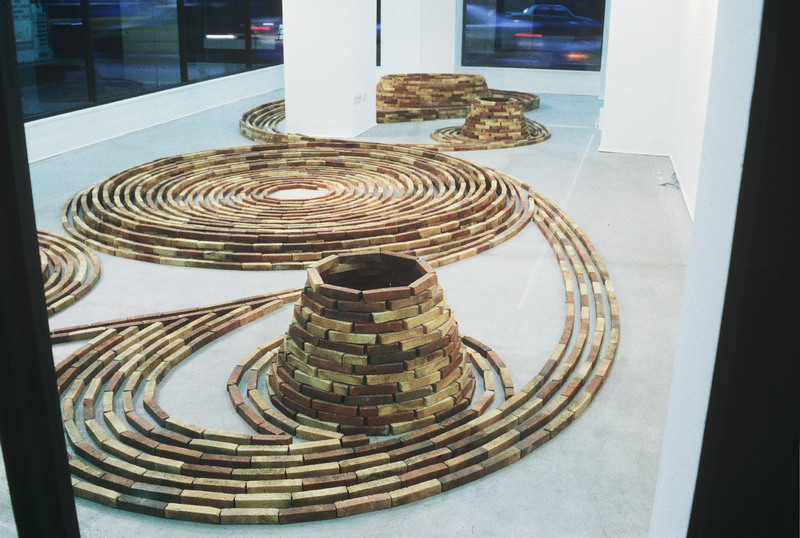 1998.
installation, Drawings and Sculpture, Geelong Art Gallery, 2004.